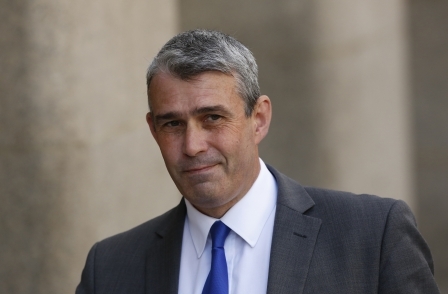 News International's former head of security has withdrawn his threat to make "shock" revelations about his former employer after settling an employment tribunal. Last month, Mark Hanna promised to expose "underhand" goings-on involving Rebekah Brooks and Rupert Murdoch in a Youtube video. But the video has now been deleted and Hanna said in a statement: "I am grateful that we have been able to resolve this matter amicably. "I am very much looking forward to putting this difficult period of my life behind me and moving on." He said: "I posted a YouTube video on 3 September 2015, in which I made allegations regarding illegal activity by the Company and its representatives. "Prior to reaching settlement with the Company and making this statement, the Company provided me and my representatives with documents and additional information not previously available to me that shed light on my allegations. "Having reviewed this material, I no longer believe the allegations I made to be true. "I am also satisfied that I was not dismissed because of any protected disclosure." Hanna posted the video shortly after it emerged that Brooks would be returning to News International, now called News UK, as chief executive. He stood trial alongside Brooks and was found not guilty of conspiring with her and her husband Charlie to pervert the course of justice by hiding computers and documents from police. Hanna was made redundant in January, after previously being suspended on full pay, and was given a reported £30,000 pay-off. In June it was reported that he is pursuing a claim for unfair dismissal. He said in the video: "To me, her previous director of group security, this is Murdoch’s middle finger being shoved right in my face after standing trial with her and others in what was classed as the trial of the century during which it was widely accepted that I should have never been involved. "I am now standing up against those who sit back and treat us all with contempt, the Murdochs and Brookses of the world. "Very soon I intend to make it known how underhand they have been and despite whistleblowing by myself they have ignored various warnings of potential illegal activity." Hanna also said he would reveal “confessions” made by his co-defendants in the eight-month hacking trial. He said: "Having been extremely close to some of those who pulled strings within the company and gained their trust as well as sitting there every day in the dock…conversations took place, notes were taken and even confessions were made. Hanna also said in the video: "From the day I joined the company things were not right, from dealing with intrusive surveillance to unclear payments, having always been law abiding and doing things by the book I aired by concerns to the relevant management but was always told to ignore things. "As time went on more issues came to light and again after reporting them and airing my concerns of potentially illegal activity which are classed as protective disclosures I was told just t carry them out without regard to who it involved. "This blasé attitude was never so relevant as today with the reinstatement of Rebekah Brooks. This, in my opinion , shows total contempt for all the victims of their antics and proven illegal activities over the years." A News UK spokesperson said at the time: "Mark Hanna has been through an exceptionally difficult time. He was acquitted in court and, throughout the trial, we supported him and paid his substantial legal fees. We also continued to pay his salary and bonuses and provided other financial support throughout his trial and afterwards. When he said he wished to return, we offered him a comparable position with the company. "Despite all our efforts to find a resolution with Mark, the matter is now before an employment tribunal, a fair and independent proceeding, where the company will defend itself vigorously. We consider his Youtube video to be an attempt to force News UK into offering an unreasonable financial settlement. Of course, we completely reject his accusations of illegal conduct."